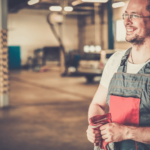 Why Do AAMCO Auto Repair Franchise Owners Love Their Businesses? Why Do AAMCO Franchisees Love Their Businesses? The storied AAMCO franchise has provided the opportunity for new entrepreneurs to realize the American Dream of small business ownership for more than 50 years. Now more than ever, AAMCO is a brand that continues to find ways for its rapidly growing network of franchisees to become more profitable, more educated and more capable of owning businesses that are easy to run and easy to scale. This bright new era for AAMCO is ushering in one of the most explosive periods of growth in the franchise system’s history. AAMCO worked alongside its franchisees to make significant investments in technology and training, as well as to expand the brand’s services to include Total Car Care to help win new business and become the go-to choice for all auto repair needs in the communities we serve. The results have been overwhelmingly positive. 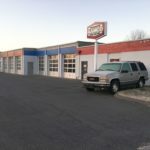 Existing franchisees, as well as entrepreneurs who have never experienced the auto repair world before, are signing on to open new AAMCO centers in record numbers. 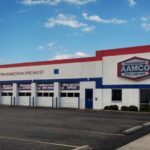 AAMCO University: The state-of-the-art training facility in Newnan, Georgia, is a pathway to success for franchise owners and technicians alike. For AAMCO center owners, there is more than 250 hours of training, as well as more than 300 online courses focused on comprehensive business ownership principles and procedural applications. Each independent AAMCO franchisee is positioned to be a leader in their community and industry with an eye on establishing, developing and growing steady income and long-term business value for every location. Total Car Care: While AAMCO built its storied reputation on transmission repair, AAMCO has emerged as a leader in Total Car Care. In recent years, AAMCO has added services to help make its franchisees more profitable and more relevant to the consumers in their community. The brand has seen double-digit growth, and AAMCO franchise owners are now becoming customers’ trusted providers for oil changes, brake repairs, heating and air conditioning maintenance and more. AAMCO will begin offering tires and tire service to their Total Car Care service offering in 2018. New POS System: The AAMCO executive team is in the process of rolling out a new Point of Sale (POS) system. The best-in-class POS system is going to significantly improve AAMCO’s business model by providing the ability to create estimates and invoices for customers much more quickly and easily, driving revenue for franchisees in their centers. The cloud-based system is accessible from anywhere in the world, and it provides a suite of tools designed to provide executive-class analytics on business performance, making it easier for franchisees to truly know their businesses and to take the steps they need to make their businesses grow. The AAMCO Franchise is a Family: The investments AAMCO has made to increase profitability and simplify the business model have won the acclaim of the media and entrepreneurs. In 2017, Entrepreneur magazine named AAMCO as the No. 1 franchise in its category for the third consecutive year in its prestigious “Best of the Best” list. But the true awards that AAMCO thrives on is the longevity of its franchisees, who work together with the executive team and each other, forging lifelong friendships in the process. With nearly 650 centers across North America, AAMCO is actively seeking single- and multi-unit operators who are passionate about the brand and committed to providing the highest-quality service. Interested candidates should have a minimum net worth of $250,000 and liquid assets of at least $65,000 per unit. Depending on the real estate site selected, franchisees can expect the total investment to be $223,600-$330,500, with an $39,500 initial franchise fee. Reduced franchise fees are available for honorably discharged veterans.